Sony’s press conference at Gamescom 2014 last night opened with a very strong selection of exclusive titles and trailers, keeping the momentum going with one new announcement after the other. If the event was a bit too early in the morning for you to catch live, we’ve got you covered: here is all the biggest newest you might have missed all in one place. You can also watch the entire thing on demand here. Officially announced back at Gamescom 2012, Until Dawn has reemerged as a Playstation 4 exclusive after an extended period of silence. It is a third person horror game that promises to be full of “suspense, choice, and dramatic consequence.” It centers on a group of friends who have made their way to a remote cabin getaway and are picked off by unknown forces. Also at the event was a new game called P.T. Billed as the world’s “first Interactive Teaser,” it has since been discovered to be a teaser for a new Silent Hill game from acclaimed game director Hideo Kojima (Metal Gear series) and Mexican filmmaker Guillermo del Toro (Pan’s Labyrinth, Pacific Rim). P.T. is available for download from the PSN Store now. Hellblade is not expected to arrive until sometime in 2016. French videogame designer Michel Ancel announced a new Playstation-exclusive game called Wild. 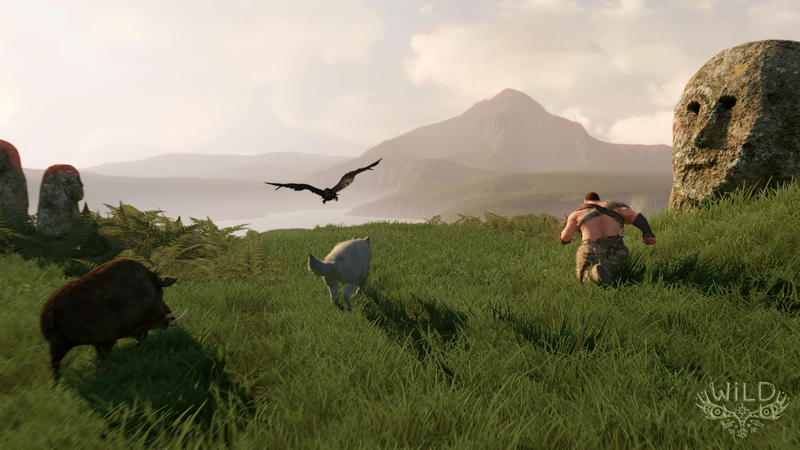 Details are a little light at the moment but it appears to be an open world game of sorts that allows players to take control of various characters and wildlife. It features a very distinct visual style, but given its designer’s pedigree this should come as no surprise. Ancel is best known for creating the Rayman series and for his work on the cult favorite Beyond Good & Evil. A trailer and some screens can be found at our article here. Kyoto-based developer Q-Games (PixelJunk series) announced The Tomorrow Children, a near future third person adventure game that has you exploring the ruins of a failed Marxist society. If the video in the above link leaves you scratching your head, no worries – studio head Dylan Cuthbert has a blog post that will hopefully clear a few things up. Spanish developer Tequila Works also showed off a new trailer for their latest game, Rime. Rime is a third person, adventure game that will feature puzzle solving in an open world environment. It has drawn comparisons to The Legend of Zelda: The Wind Waker for its use of cel-shaded graphics. It is a Playstation 4 exclusive. And lastly, Resogun developer Housemarque showed off their newest Playstation exclusive, Alienation. It looks to be a top down, shoot ’em up in a similar fashion to Dead Nation, another Housemarque title. Again, details are light at the moment but the game is already looking quite spectacular with some intense twin-stick action and impressive environmental destruction. Firmware update 2.0 was also outlined at Sony’s conference. It will, among other things, allow for shared gameplay videos to be uploaded directly to Youtube and it will also introduce the SharePlay feature. SharePlay can best be described as being a like a “virtual couch.” It will allow you to invite a friend to your game without them needing to own a copy of it, presumably via game streaming over the internet. How fast your connection will need to be in order to play comfortably is unknown, but you can read more about the SharePlay function here. And in related news, Sony Australia announced the official release date for Playstation TV. 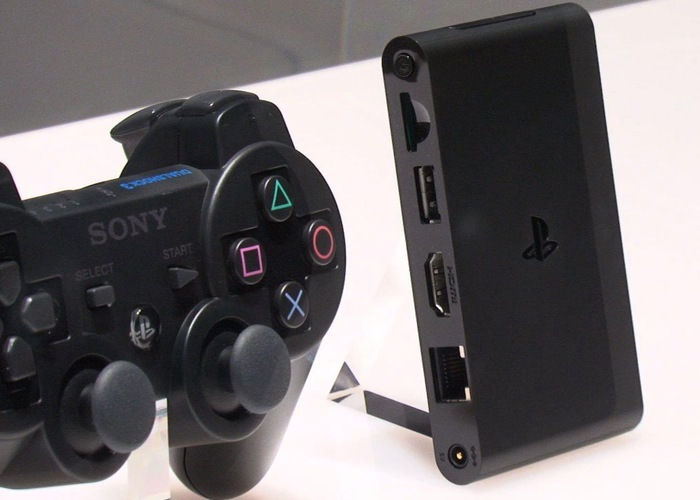 The Playstation TV will play select PS Vita titles as well as PSP and PS One games. Its biggest draw is remote play: this allows you to set up your Playstation TV and stream PS4 titles across your local Wi-Fi network to another room. More trailers have been released for a wide range of games that are sure to pique your interest. You can watch some of them here or on the official Playstation Youtube page – be sure to check them all out. And dont forget about Tearaway! Remastered from the ground up, the infinitely charming PS Vita title Tearaway will be arriving on the Playstation 4 sometime next year. Check out our article and trailer. This is for the Readers. Remember to keep coming back for all the latest news out of Gamescom 2014 and be sure to tell us what you thought of Sony’s press conference in the comments section below on our Facebook page.